Finding information about Albania’s transport system online is a long and gruelling task and you will find virtually no information. 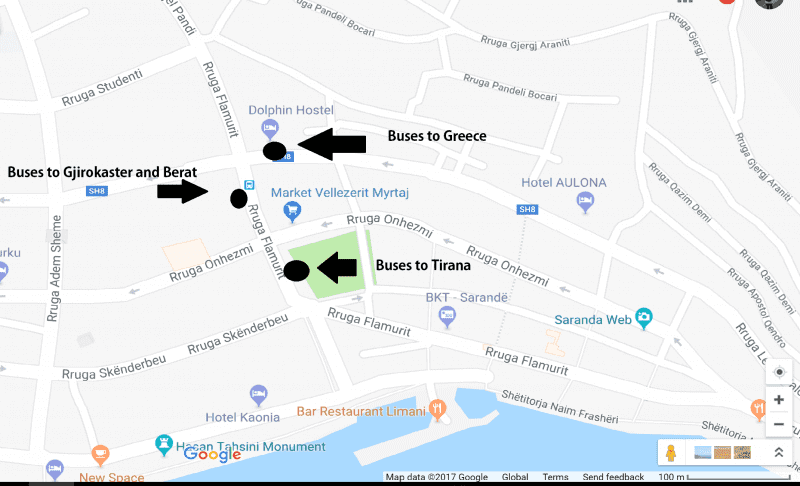 To save you time and headache here’s a complete guide on how to get around Albania and to show you that Albania travel isn’t that bad! When travelling Albania, you will have to learn to trust the transport system. There are timetables but quite often they are wrong or have been changed. There’s no rail system so it’s all about furgons, buses and hitchhiking! This is the most popular way to get around Albania. Furgons are essentially minibuses that are privately owned and not licensed. Sometimes they have a timetable, sometimes they don’t. They will usually travel to smaller villages and also more popular routes like from Saranda to Gijrokastёr and Berat. The furgon is usually crammed with a lot of people in so in the high season, it can be a little cramped, but this is usually my preferred transport choice. They will drop you off at any point along the way, you just have to let them know. I had an interesting/wonderful experience on a furgon that was going from Saranda to Berat. When we stopped halfway for a break we ended up drinking multiple rakis (the local alcohol) and got extremely drunk within the 15-minute stop. We ended up dancing and making a complete fool of ourselves (or in other words, having a lot of fun) with the entire bus. It made the rest of the trip fly by. Furgons are definitely more intimate than big coaches! The good thing about furgons is you can flag one down and they will usually stop for you and let you on if it’s not full. So, if hitchhiking fails then you always have that as a backup option as long as you’re not in the middle of nowhere. In terms of the timetables there are some but most of the time they change. 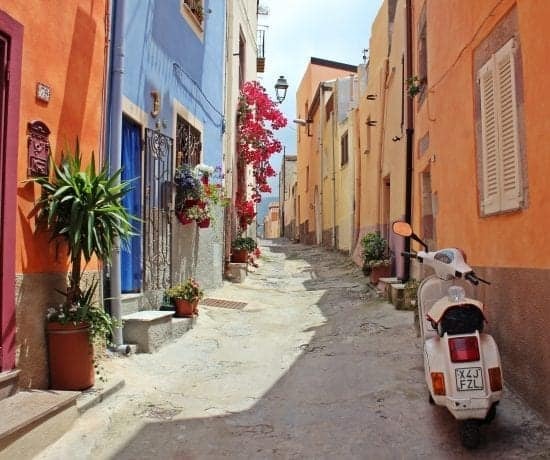 The best option is to ask a local as they always seem to know everything about transport. Most likely the bus driver will probably be a relation or friend. If you are wanting information about furgons and buses leaving Saranda then read my ultimate Saranda guide where I list a rough schedule. Buses run for more popular and longer routes like for example from Saranda to Tirana. They also have rough timetables. Be prepared to share the bus with car motors, washing machines, and other household essentials. Usually, the buses are a delivery service as well. You can do the same as with the furgons and tell the driver where you want to get off, they will usually stop. Buses will sometimes stop for hitchhikers too if they aren’t full. In each city, there’s either a bus station or a bus road/s. Albania’s bus stations are a lot less official than you think and most of the time it’s just a carpark with a whole lot of buses. 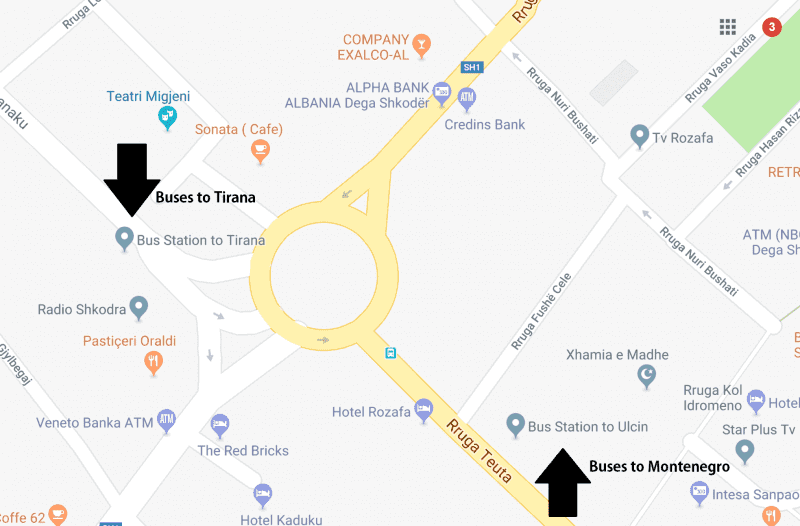 Tirana, there are two bus stations for Albania– one for buses going north and one for buses going south. They are about a 15-minute walk from each other so make sure you get the right one! The station for buses going south is the further one away from the city. As soon as you turn up to either of these bus stations you will hear an array of men asking where you’re going. Just scream which place you want to go and one of them will show you to the bus. They are not asking for a tip, they usually are the guys who help the driver fill the bus up with people. 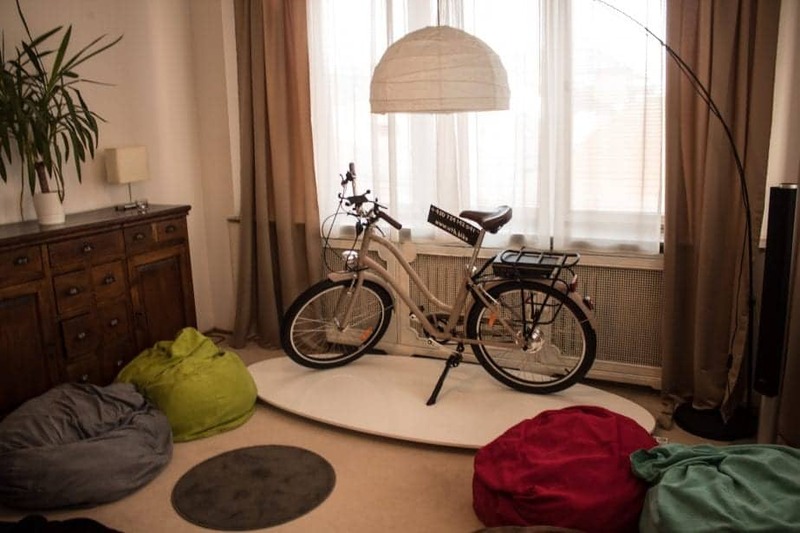 If you’re looking for a full travel guide to Tirana then click here. Saranda, the buses go from a few places, but they are all very near to each other. There is a couple of ‘bus roads’ in the middle of the city. Usually, the ones to and from Greece go from outside the ticket office, which is opposite the red building called Partizani. 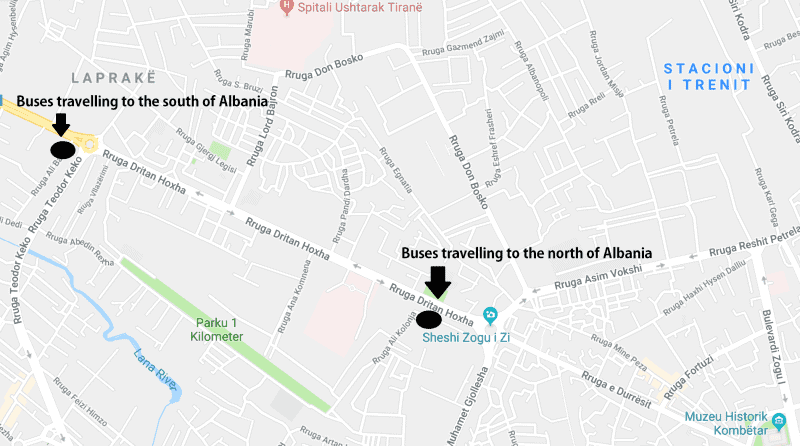 The buses that go within Albania are found on the street Rruga Flamurit, near the ruins and the park. If you ask anyone there where you want to go, they will lead you to the right bus. The buses and furgons will have a sign in the window saying where they are going. 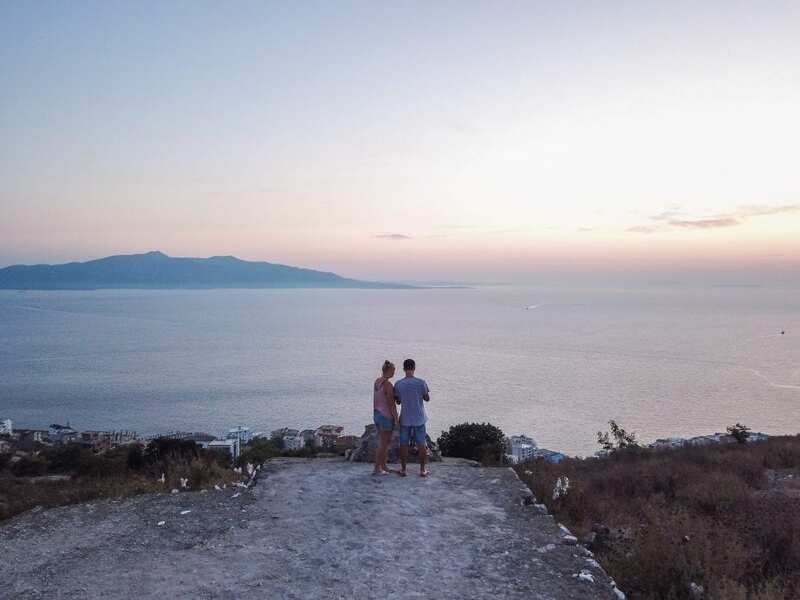 Read about 26 things to do in Saranda here (most tourists don’t know half of these places!). Shkoder, there are two locations. One for buses going south to Tirana, which is located opposite the radio station. The other one is on the opposite side of the big roundabout near the mosque. Again, just yell where you’re going, and someone will take you to your bus. 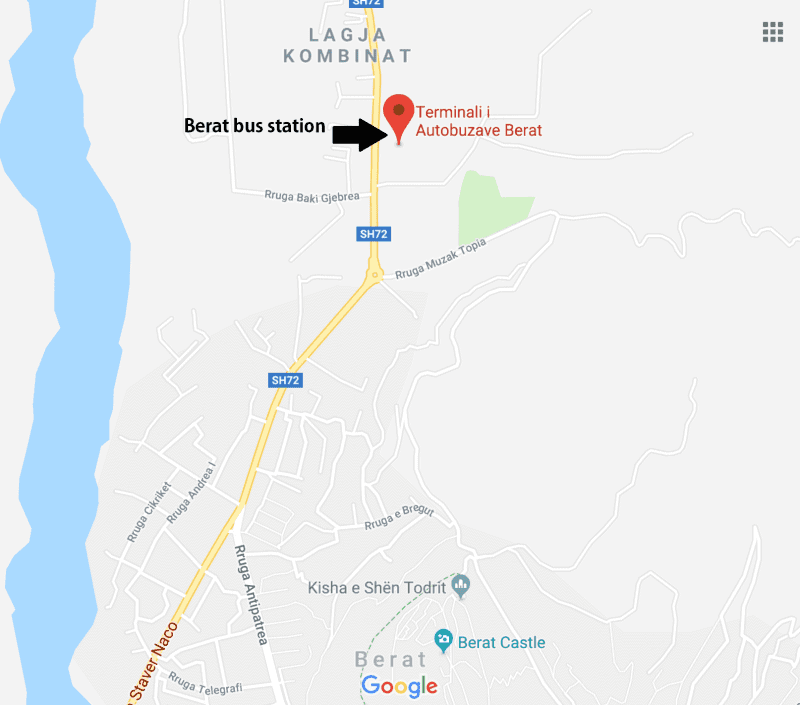 Berat, the bus station is located just outside of the city. You will need to catch a bus, which is situated next to the petrol station (across the road from the bus station). 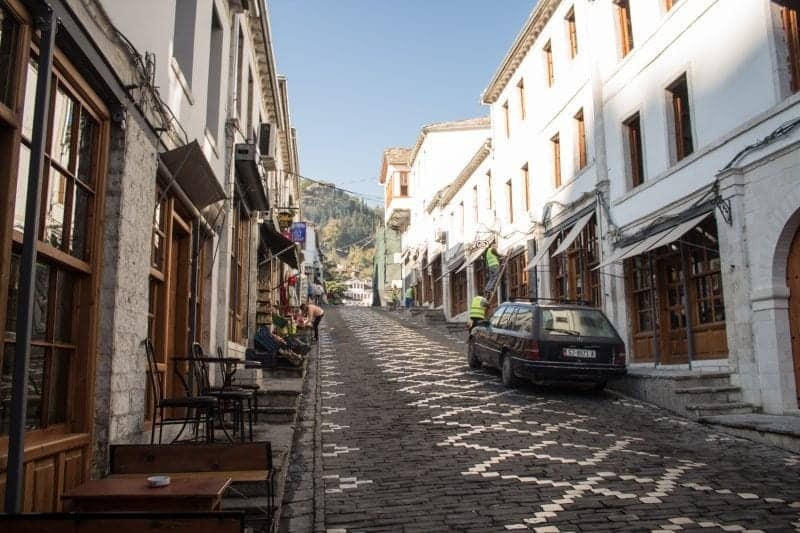 Or you can catch a taxi (500lek) or hitchhike into Berat as it’s about a 10-minute drive away. 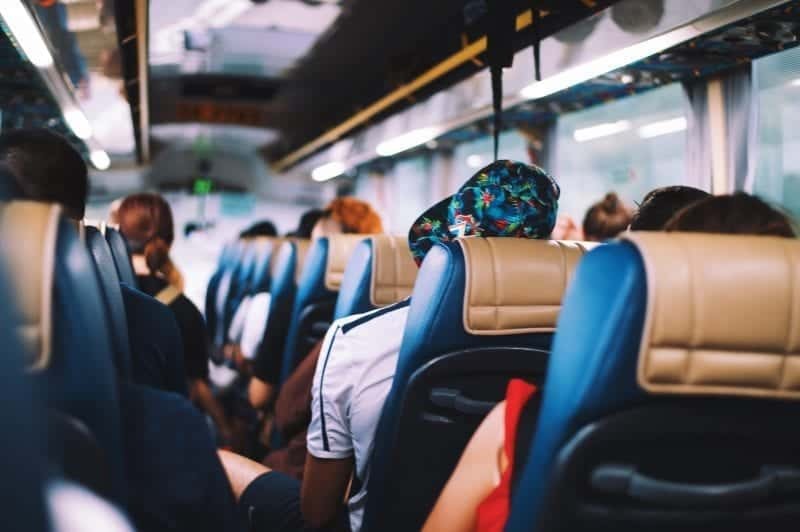 Tickets: For the longer bus rides you will usually need a ticket beforehand, especially if its high-season. In low season you can just buy it on the day. For the furgons sometimes you will buy a ticket from the driver or just give him cash when you arrive at the destination. Hitchhiking in Albania is incredibly popular with tourists and locals. It’s very normal to hitchhike here and you will never wait for more than 20 minutes (usually). In my experience, it’s taken no longer than 5 minutes! There’s no real art to hitchhiking. Stick your thumb out, make sure you’re visible and that you’re in a spot that’s easy for someone to pull over. Although in Albania they will stop in the middle of the street for you – that’s Albanian driving for you! Is it safe? Yes, as long as you listen to your instincts. If someone pulls over and you don’t get a good feeling, then just wave them on and try again. From all the travellers I met this summer, most of them hitchhiked and none of them had any problems with it so that is saying something! Fun fact: In the summer I always hitchhiked to the clubs just out of Saranda! I met the funniest and craziest people by hitchhiking, some which are now good friends! If you are wanting information about furgons and buses leaving Saranda then read my ultimate Saranda guide where I list a rough schedule. If you have any further questions about Albania travel, please leave them below and I will try to answer them for you! 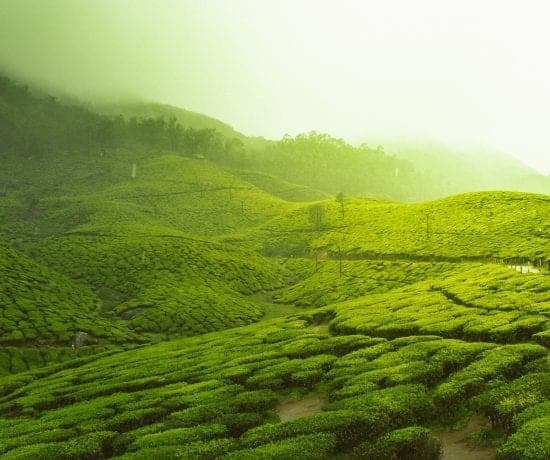 Love this article? Pin it for later! This is such a detailed and exceptional travel guide for Albania, Anita. Hitchhiking there should be fun. Did you try it? Thanks for reading. Yes, I’ve tried hitchhiking in Albania, it’s fun! Very helpful – love the maps! Super handy guide! I’m interested in travelling to Albania as the beaches look gorgeous- do you know if you can get to them via public transport? 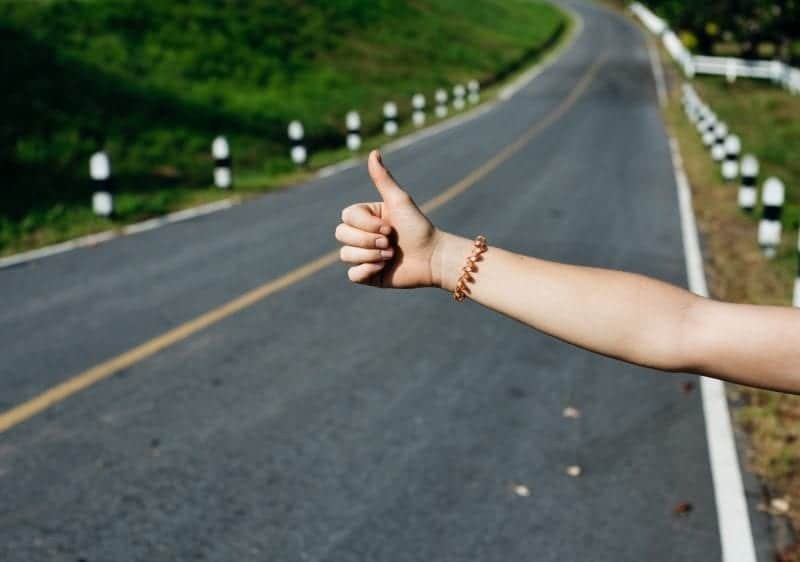 Hitchhiking is something I have never done, but should really try just for the thrill of it. I love the information you provide in the article. What was the rakis like? I have never heard of it. Love this post! Learned a lot about what furgons are. Love your story about how you got drunk on a furgon trip! haha You did a great job too with the detailed maps. Good list of transports there. Furgons is new to me. Hitch hiking is something I have never tried, but I believe you get to meet interesting people like you mentioned. You’ve provided some very helpful transportation tips for getting around Albania. The furgons are a very interesting way to travel between towns and villages in the countryside. Albania still seems like an off-the-beaten path destination in may ways but at least know I know how to get around when I visit! Thanks for the great info! Figuring out transportation is probably one of my least favorite parts of trip planning as it usually causes me the biggest headache because I struggle to find the information I need. Will definitely save this for if I ever go to Albania! I’ve been planning so long to visit Albania because I heard it’s very beautiful there, cheap, and generally friendly to digital nomads. I also heard it can be difficult to travel around if you don’t have a car so it’s nice you have a whole post on getting around. The furgons sound like the public transport in South America or Asia, so I should feel right at home LOL I doubt if I’ll get drunk though. As a solo traveler, I’m very careful where I drink haha Bookmarking this for my visit next year! This is gold! Thank you so much! 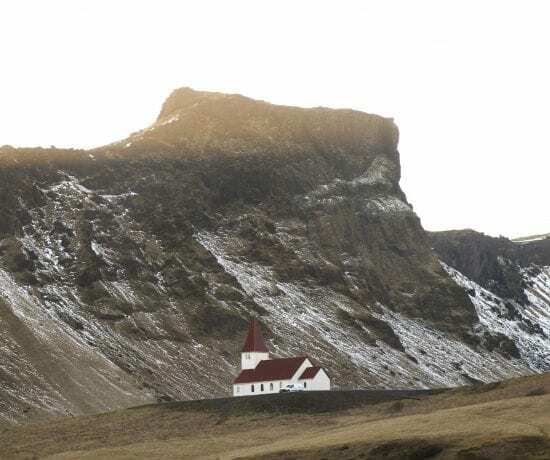 We were getting confused about all the bus traveling, even though we have lived 7 months in Asia and traveled just by public transport, coming back to Europe seemed like a bit of a challenge! 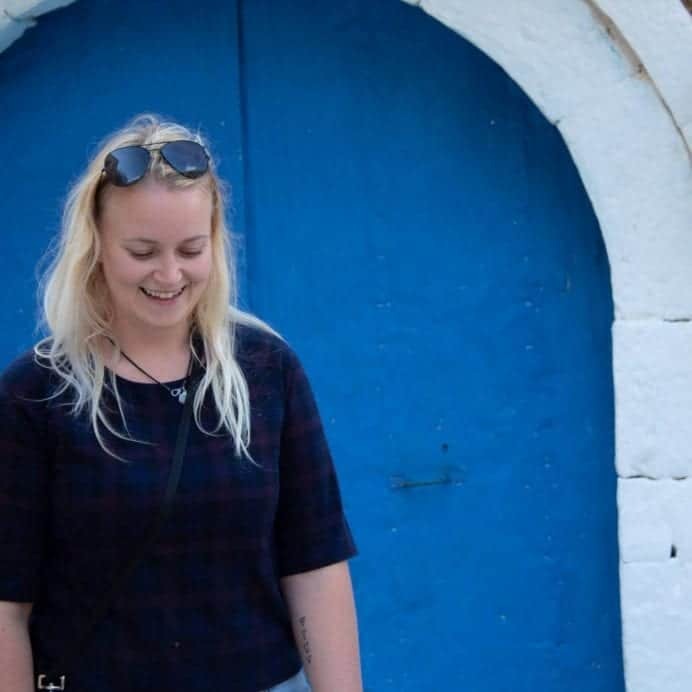 Great reading, I had actually just been researching travelling through albania and was getting quite anxious that I might have to pass, as I couldnt find any info. I am going in August this year and now feel confident that I’ll be able to get around no problems! Yay! Are furgons quite obvious mini vans? And what about luggage restrictions? Also what would you say are a definite to see. I am coming from Montenegro and probably going to Corfu. Hitchhiking through Albania! Now that would definitely be outside my comfort zone… but I might just be up to it! Just don’t tell MissTIC. I think she would freak. It’s the best way to get around and you meet the most interesting people!